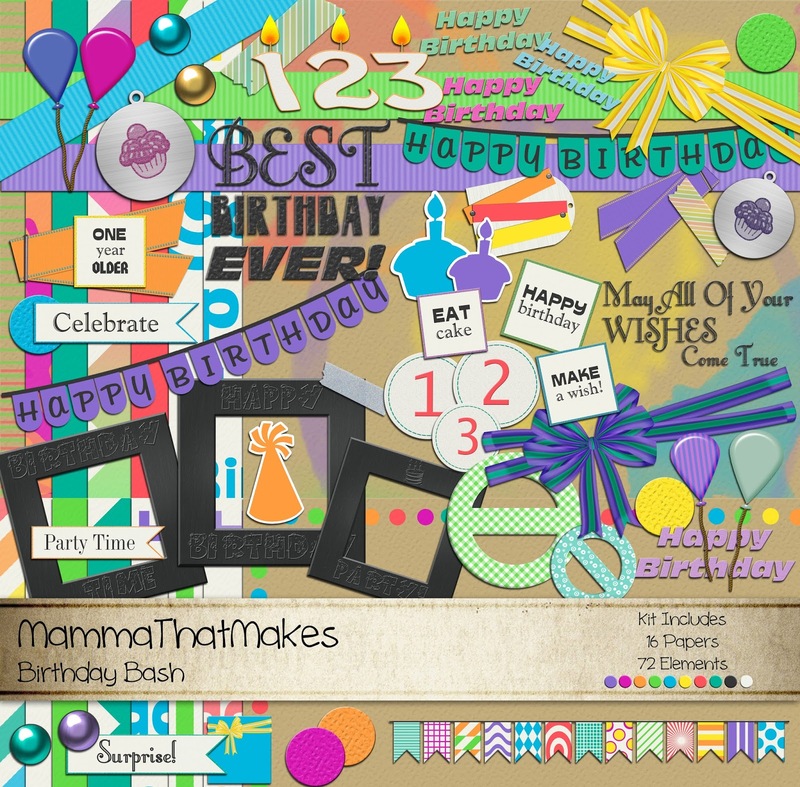 Well, May is almost over, and here's this month's Scrapkit, Birthday Bash! Because May is the month all the best people were born *hint hint* That's right, yours truly had a birthday this month! Actually.. it was yesterday! WOOHOO! This kit is full of fun bright bold colours, perfect for scrapping those amazing birthday photos! Have some fun with this one. 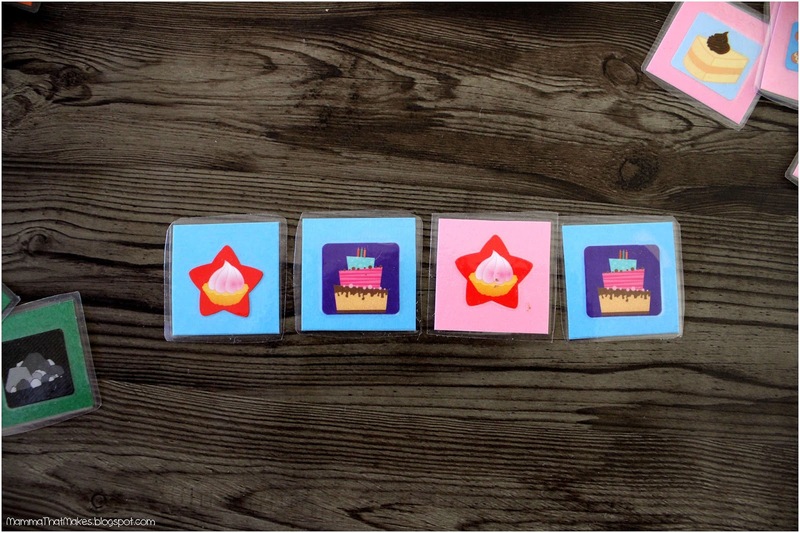 The Birthday Bash kit also comes with 2 full sets of numbers, so you can be sure to add ages and dates too! Grab The Zip File Here!! 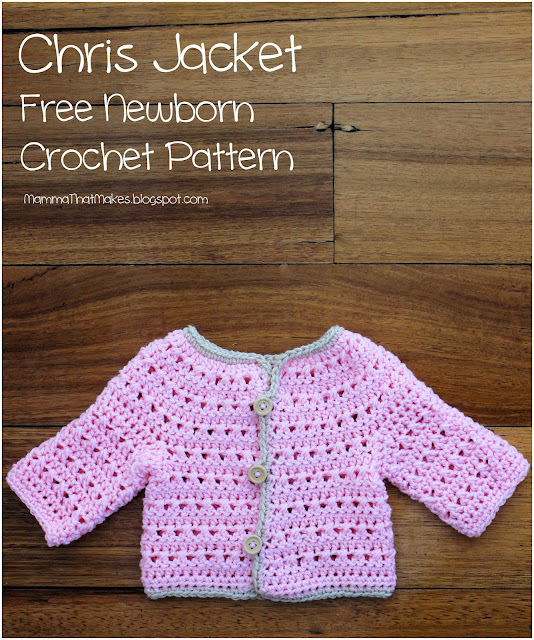 Good morning all and welcome to May's newborn pattern. The Chris Jacket has been something I've had in the works for a while, and you may remember I used the same stitch for a pair of Preemie Pants back in 2015. Gosh, I really do love this little jacket. Just enough texture to mix it up, but not too busy, and very neutral. 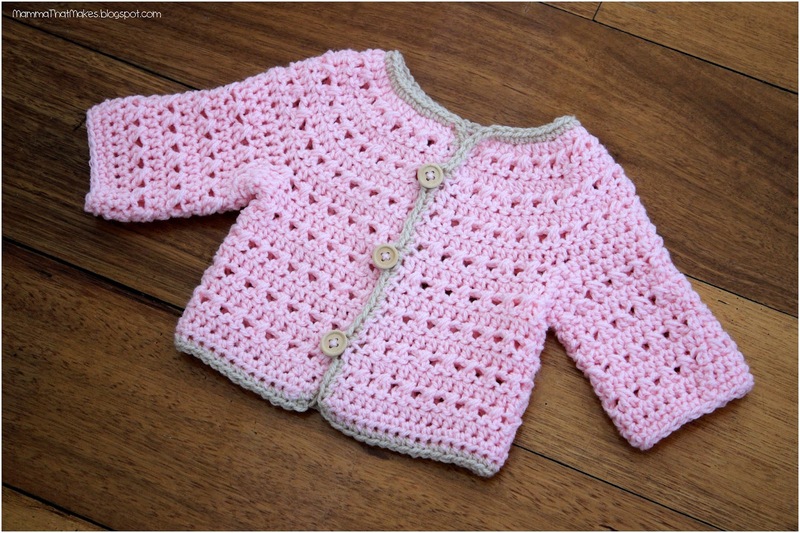 It's a quick make too, and wouldn't take more than a day to complete, making it perfect for last minute baby showers. Made as instructed, this jacket will fit a newborn baby, up to maybe 2 months, depending of course on bubs size. DK weight (8ply, light worsted) yarn in main and contrasting colour. 1 100g ball of the main colour is plenty. 12-17: Repeat rows 10 and 11. 18: Ch2, turn, hdc in each stitch across. End off. End off and weave in all tails. 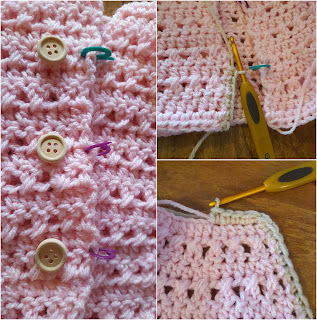 Reattach yarn to the second arm hole and complete 1-12 to make the second sleeve. Figure out what position you would like your buttons in, and place markers there. I picked 3 buttons, but you could do any number you like. Join your contrasting colour to the bottom right corner of the jacket and ch1, sc evenly up the side of the front opening of the jacket, sc in each stitch around the neckline, sc back down the other side of the front opening, when you reach a stitch marker make a button hole, I chained 3 for my button holes, but you may need more or less depending on the size of your buttons, once you have chained 3 for your button hole sc back into the same space before continuing to sc down the opening. 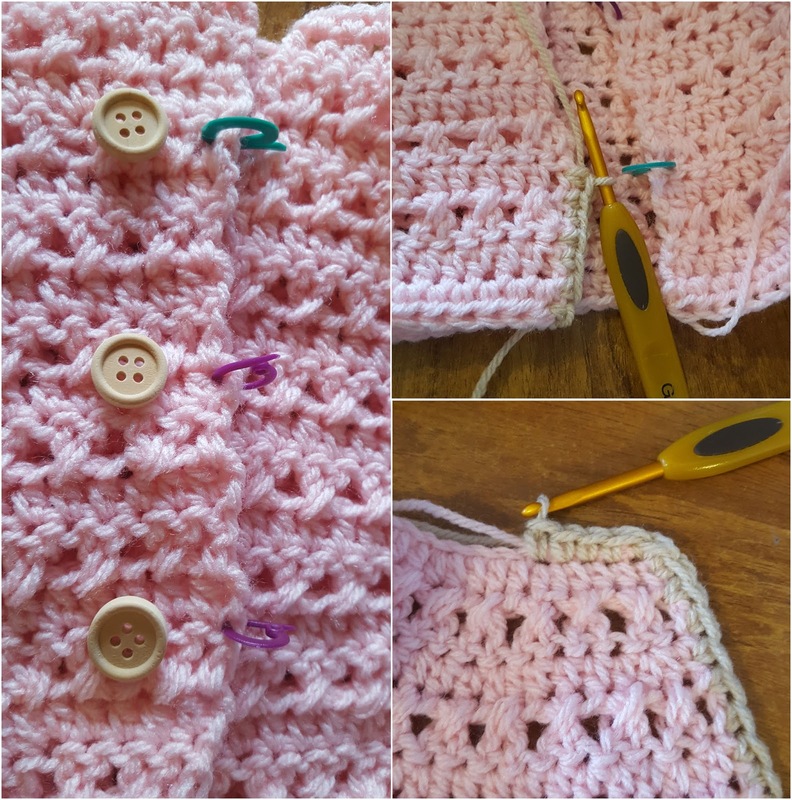 When you reach the bottom, sc in each stitch across the bottom of the jacket until you reach the starting ch1, and slst to join. End off and weave in all of the tails. Add your buttons and done! 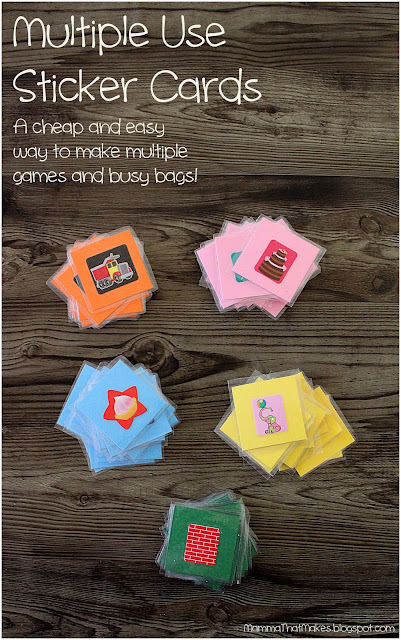 Sometimes, the most versatile busy bag games can also be the cheapest! Which is always a plus when you have little ones to entertain! Today's project is so cheap and simple, but it has a whole variety of uses, sticker cards! That's right. Stickers and cardstock. Sounds pretty basic right? Well, it is! In fact, it's barely a tutorial, it's so simple. 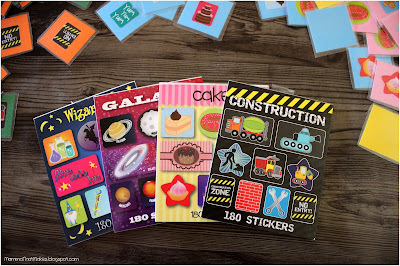 I picked up these packs of 180 stickers from The Reject Shop last year, they cost me only $2 a pack, and as of writing this, they still have them available too, wahoo! If you don't have a Reject Shop in your area, most discount/bargain stores stock packs of stickers, cheap. You'll also need some cardstock. I have a stack of A4 sized coloured cardstock I picked up for $3. Optional: A laminate machine! Now, you don't NEED one of these. In fact, the sticker cards work EXACTLY the same without being covered. I prefer to use it, because it means my cards will last longer, and be able to be used year after year. You could also cover them with clear contact if you wanted to. 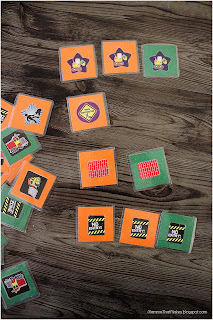 Stick your stickers to the middle of the squares. 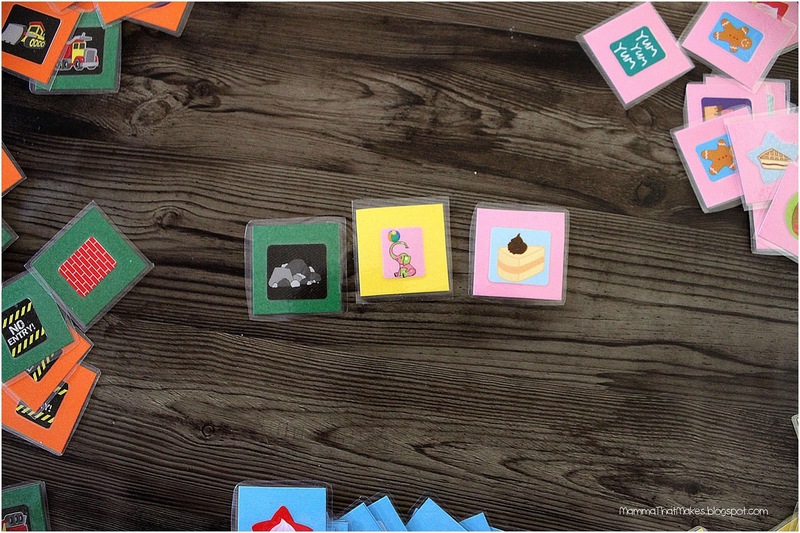 What I love about these cards though, simplicity aside, is how many things you can use them for! 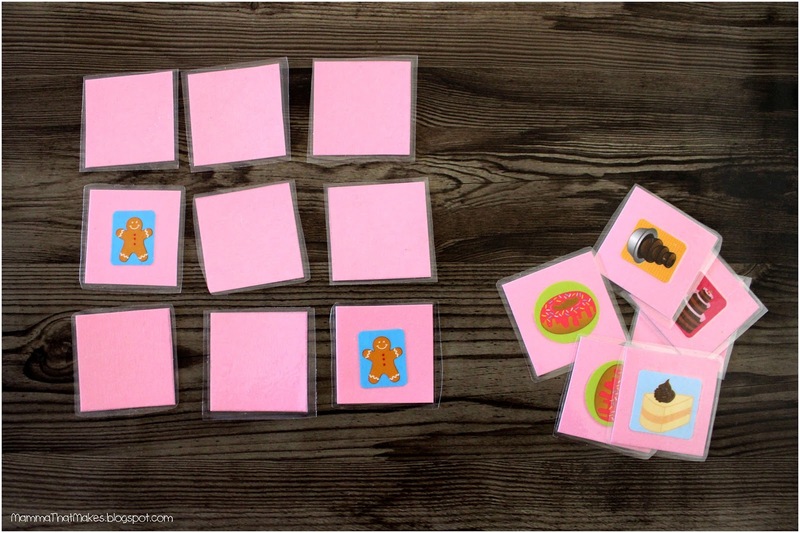 Kids can match either the colour of the cardstock or the colour of the stickers. Play a game of Memory. 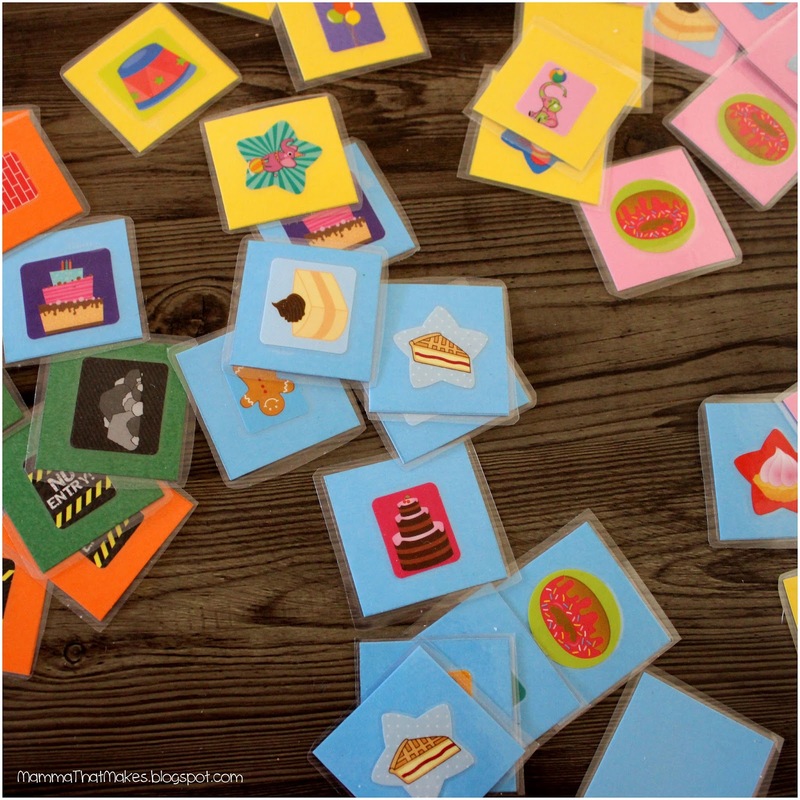 This can be a simple 4 or 9 square game for smaller kids, right up to as many cards as you can make for older ones. Imagine using all 180 stickers for the ultimate Memory challenge! 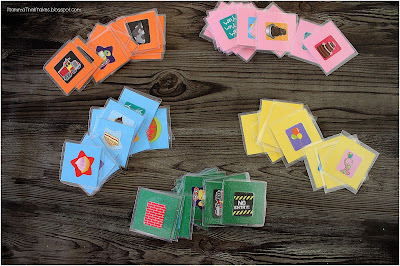 Figuring out what comes next in a sequence, either with the sticker, or flipping them over and using the blank side to make patterns from the colours. 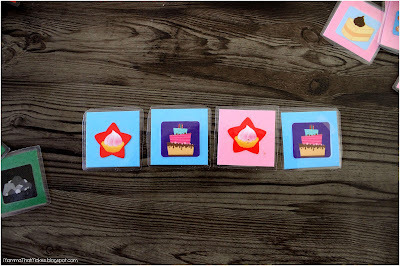 For older children, the challenge could be matching the sequence with both the card colour and the sticker! This is a great one for older kids to practice their creative writing skills. Get them to pick out 3-5 cards at random, and write a story using the images as prompts. Lots of fun! So, there are just a handful of ideas of fun and learning games, all from $5 worth of supplies. Budget games? Yes please! 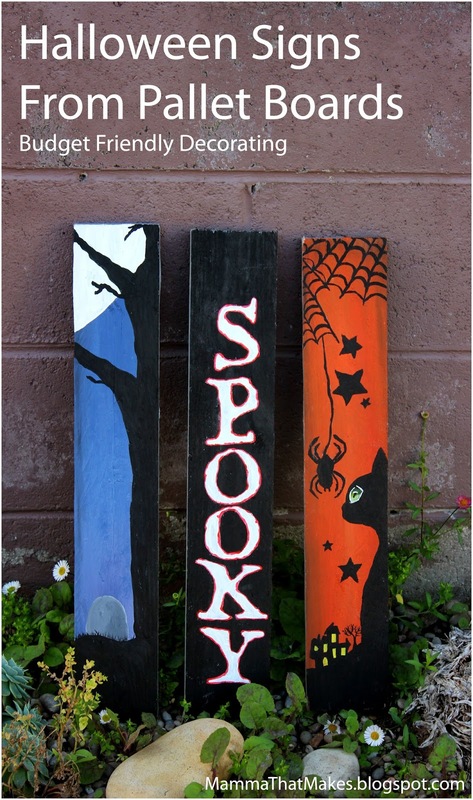 Gosh, Halloween is getting closer and closer, and I am sooooo not prepared! My project list is huge! Thanks Pinterest, haha! This month I've been working on some upcycling. Actually, this project, cost me nothing! Nope, not a penny! 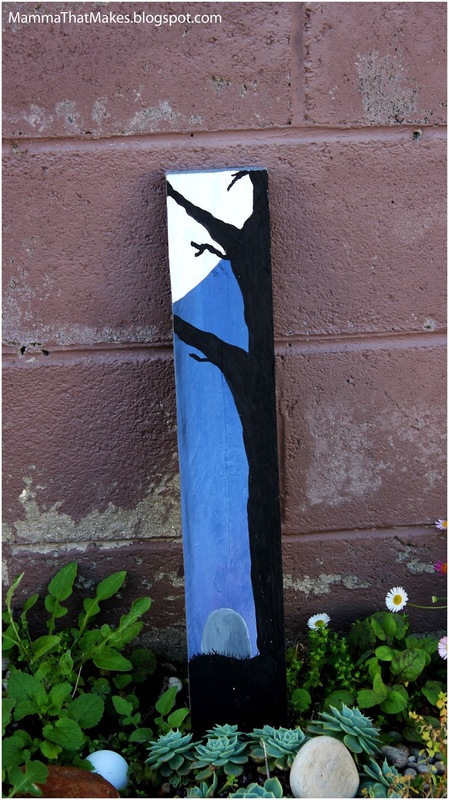 I already had the paints and brushes, and the pallet boards I used to paint on came free from a store that was getting rid of them! A lot of companies that receive goods on pallets will give these away for nothing, so it pays to ask around. We'll be moving mid year, and as yet I don't know what space we'll have for a haunt, so I've been making things I can easily adapt for any space. These signs are perfect for that. I can hang them on walls, attach them to trees or add a base and sit them in the yard! First, cut your pallet up and make the planks the size you want! Mine are 43x8 cm (give or take on height) and that wasn't actually planned by me. It's just the size the planks came off at when I started cutting. Of course, you can actually measure if you want to have signs the same height. All 3 got a coat of grey primer first that I let dry overnight. This was the easiest sign to make. I picked a font out, opened it in Photoshop and printed out the letters to the size I wanted. 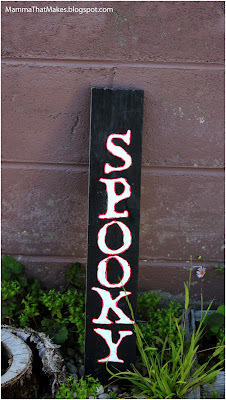 Once a coat of black paint dried, I just laid the letters over the plank and traced them on. The pressure was enough to lightly mark the wood so I could see where ti paint. The words are white, just one coat, and then once that dried I touched the edges up with some red paint. See, super easy. This one took a few more steps, but still, pretty easy. I started with the blues and purples for the background, and brushed them on, getting darker at the top, lighter at the bottom. 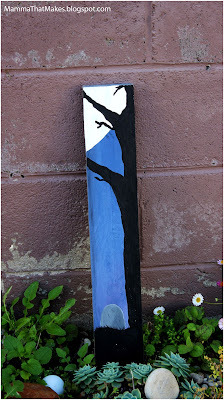 I also took some black (a very tiny amount) and brushed it into the wet paint around the edges. Then I took a pencil and outlined where everything would go. The moon went on first, then the hill. I popped the headstone on the hill and waited for it to dry, and then came in with a super fine brush and some black to paint in some grass in front of it. The tree went on last, so that it could over hang the moon. I can't take credit for this one. Miss M found the image on Pinterest (which started this whole post today!) and recreated it in pencil onto the wood for me. Thankyou to Bronwyn Goulding for sharing. This one started with an orange background, and again some black on the edges. I painted in the spider and cobwebs first, then the house and cat, and the cats eye last. I'd call this a Pinterest Win Right?? YES! I have a bunch more to make yet! 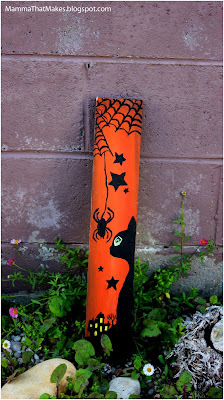 Free Halloween decor? YES PLEASE! 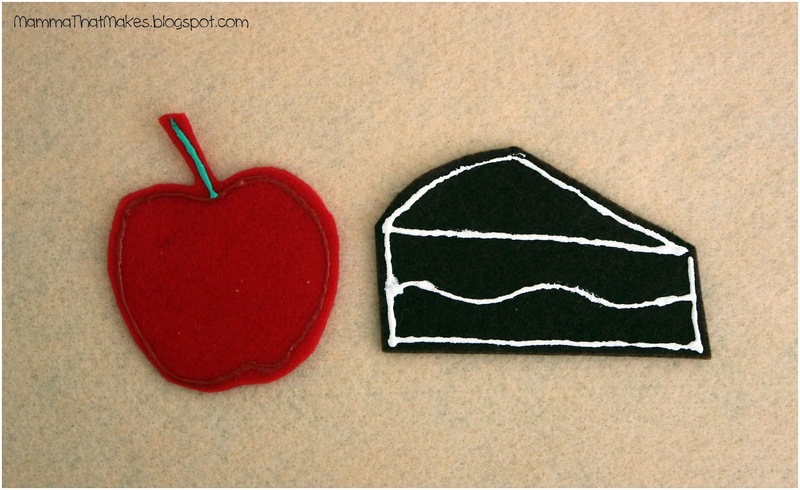 Woohoo, it's time for some more felt shapes! This months set is.... Ant Picnic! Master J has such a fascination for ants. He'll sit there watching them for ages, and follow them about the yard to see where they go. Super cute! 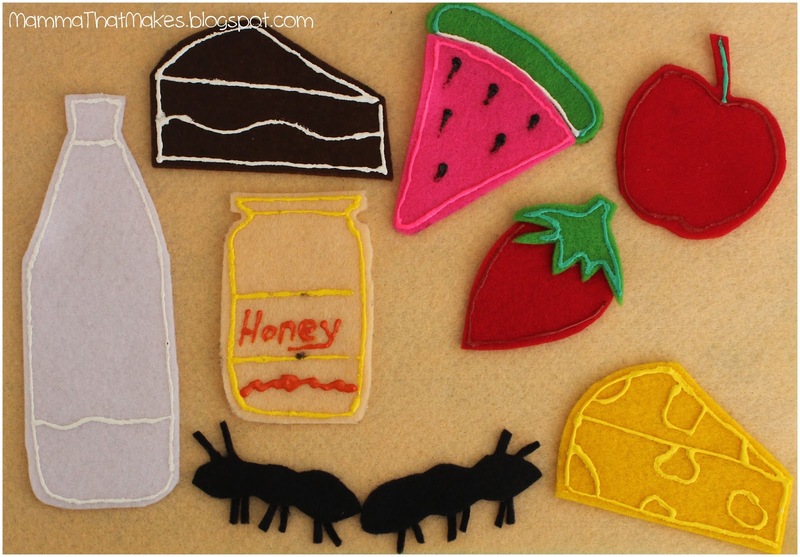 I figured an Ant Picnic might be a fun play set and boy was I right! 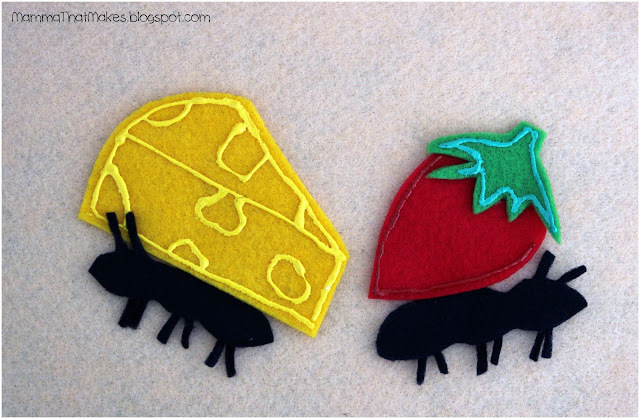 This set includes some oversized foods, and of course, the ants! 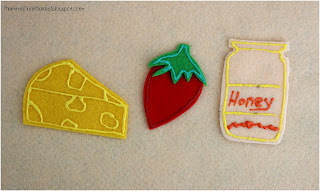 It's all really simple to make too, yay! 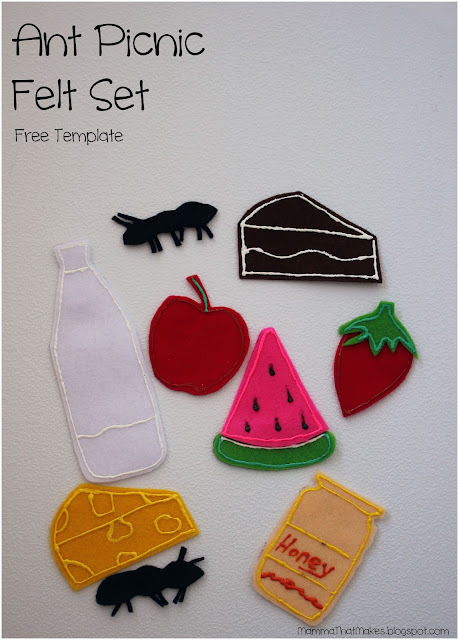 Never made felt board shapes before? It's sooooo easy! Here's how! First, gather your supplies. You'll need some felt, some scissors, some glue (I use 450 quick dry), and if you like some paint! 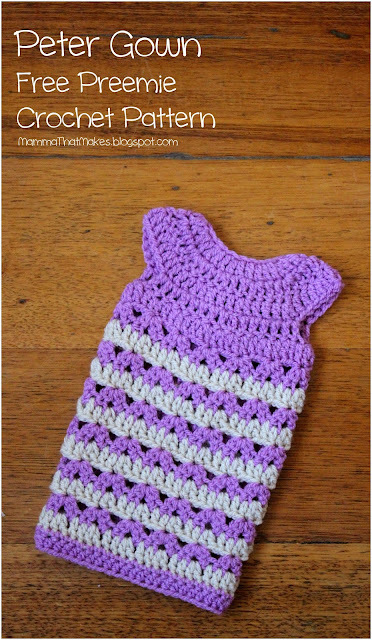 I use fabric puff paint, but really, most would work just fine. 1: Download and print the template. You can download the PDF file here. 2: Cut out the templates from the paper. Then, you can either use them to trace around with a pen onto the felt, or pin them to the felt. I prefer to trace, it's much easier. Chalk works great for darker colours! 3: Cut all the felt pieces out. You may want to cut more than one of each thing. 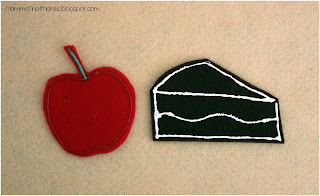 We did extra ants, 2 apples (one green and one red) and used the same shape for cheese, a piece of pie, and a couple of cakes! You'll also need to cut out some thin strips for the ants legs and glue them to the back of the ant. Trust me, its WAY easier to do that and glue them on, cutting around tiny legs, insane! 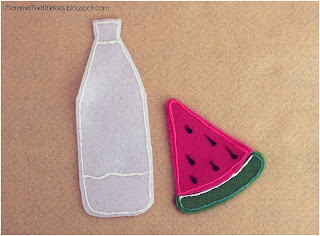 Glue the stem on the strawberry, and the rind behind the flesh of the watermelon. 4: Optional. If you want to add more detail to your pieces, this is where you get the paints out! I tend to mainly just outline mine, but you can go as crazy as you like here! That's it, your done! See, super simple! Phew! What a crazy month it was last month with the blanket CAL! It was awesome, but it's nice to get back to some normalcy here on the blog. 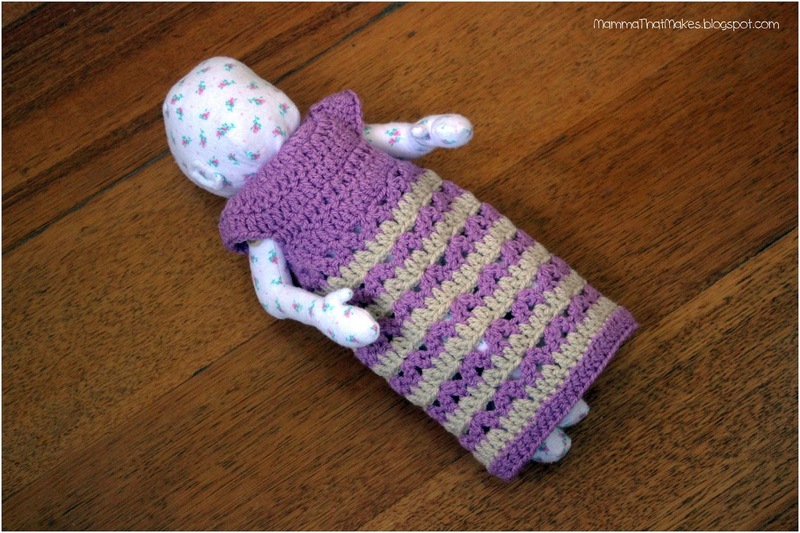 Of course, that means today is Preemie Pattern day! YAY! Today's preemie pattern is for a small gown, that is made to match the Peter Beanie from 2016's Hat Drive! Like the hat, it also fits 24 weeks gestation. I did say I wanted to get some sets sorted, and I'm glad I finally have time to do so! 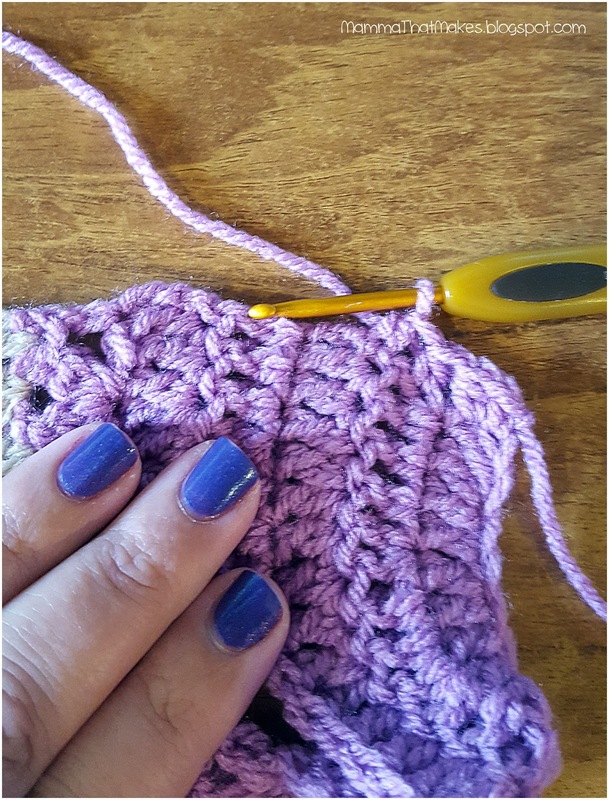 This is a very simple, straight forward gown and uses no more that 50g of yarn in your main colour, even less for the contrasting. This gown is fully open at the back, and uses ties to close. Of course you could do your own closure type should you choose to. 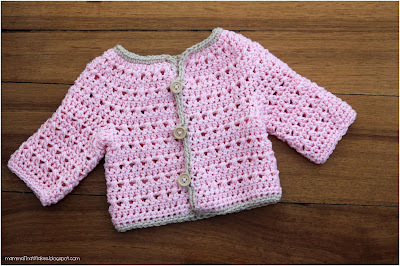 I used some Patons Fairytale Fab DK yarn for this one, but of course, any DK/8ply yarn will work. Note: Row 5 LOOKS insane, but it isn't. It's just spaced out increases that have been wrote the long way that I usually do, so that beginners can easily follow along <3 Promise it isn't hard at all. Also, if tails bother you, weave them in as you go, because where there are stripes, there are lots of tails! DK/8ply/Light Worsted weight yarn in a main and contrasting colour. dc cluster - yarn over, insert hook in stitch, yarn over, pull through (3 on hook), yarn over, pull through 2, yarn over, insert hook into same stitch, yarn over, pull through, yarn over, pull through 2, (3 on hook), yarn over, pull through all 3 stitches. Cluster complete. 4: Ch3, turn, dc in the first 8 stitches, ch2, skip the next 12 stitches, dc in the next 15 stitches, ch2, skip the next 12 stitches, dc in the last 9 stitches. -35 including chains (which will be refered to as stitches on the next row). 6: Ch3, turn, dc in the first stitch, skip the next 3 stitches, *(cluster, ch2, cluster) in the next stitch, skip the next 3 stitches*, repeat across, dc in the last stitch. With the right side of your gown facing up (completely up to you, I prefer the dc rows to be facing the outside) rejoin the main colour to the top corner of the back of your gown and ch2, evenly hdc down the side of the opening, in the bottom corner stitch make 2hdc, hdc along the bottom of the gown, 2hdc in the next corner, hdc evenly back up the remaining side of the gown and slst into the top corner (do not crochet along the neckline) End off and weave in all tails. 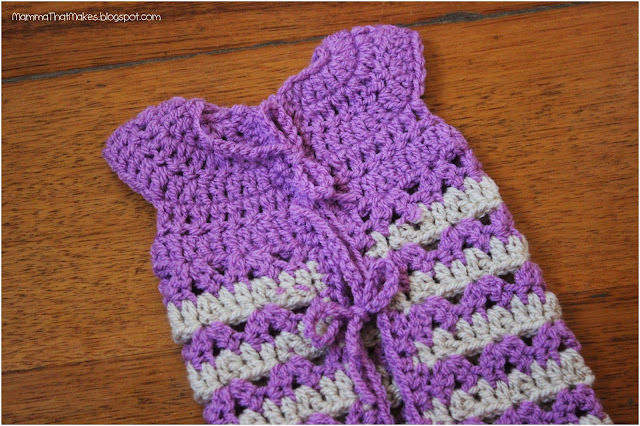 To make the ties, attach the yarn to the spot on the back you want them, and chain 25. End off, weave in ends and trim the free end of the chain, not too close, you don't want it to unravel.